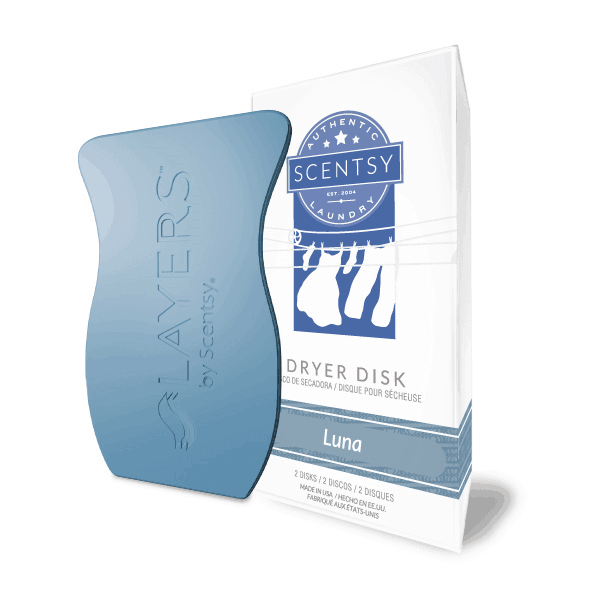 Dryer Disk – Luna – Escape to a secluded retreat of dew-kissed lily and tart-sweet kiwi, shaded by lush coconut palm. • Imparts long-lasting fragrance. • Sulfate- and phosphate-free. • Available in a variety of Scentsy fragrances. Ingredients: contains fragrance oils.